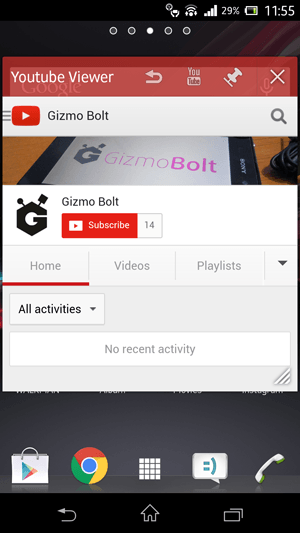 download Archives — Gizmo Bolt - Exposing Technology | Social Media & Web. 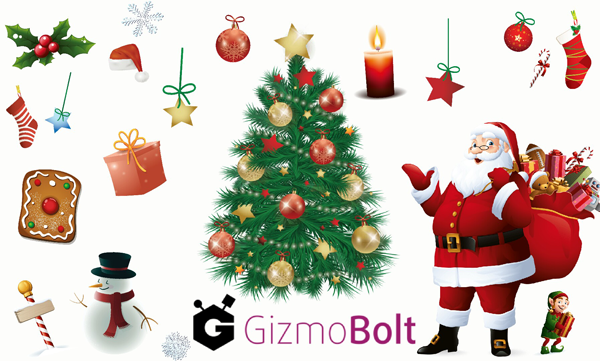 | Gizmo Bolt - Exposing Technology | Social Media & Web. Verizon Motorola Droid Turbo came into existence recently featuring 5.2″ Super AMOLED QHD display ( 565ppi ), Snapdragon 805 SoC clocked at 2.7GHz quad-core Krait 450 processor, 3GB of RAM and 32GB or 64GB of internal storage ( changes with the device variant ) . It has 21MP rear cam, 2 MP front cam and 39oo mAh battery. 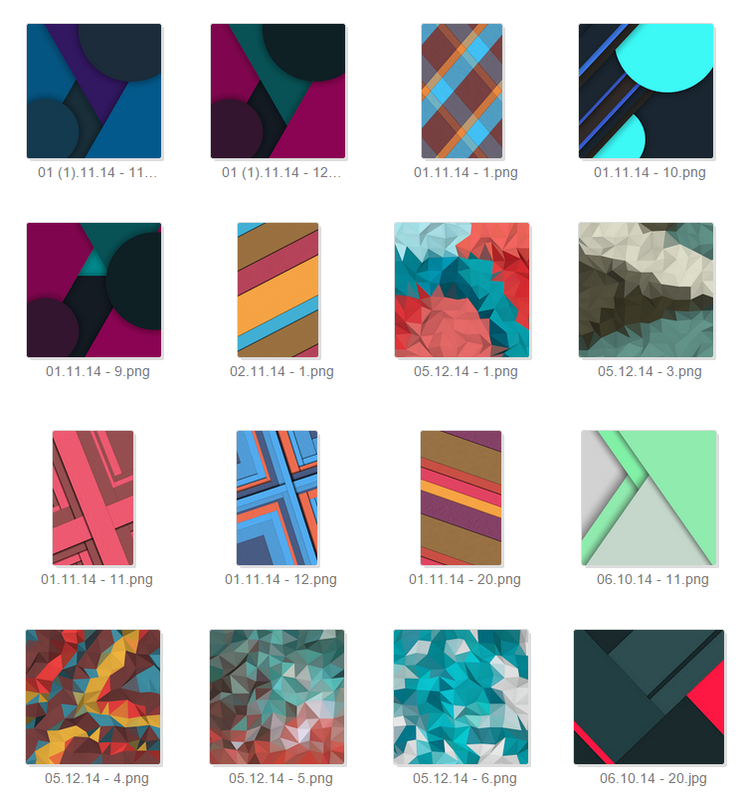 As the system dump of Motorola Droid Turbo is out so its stock wallpapers are now available for download. 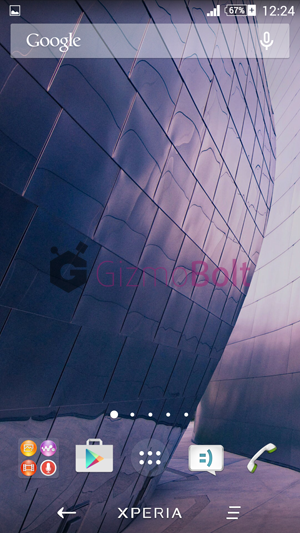 As it features 2K screen so all wallpapers are of 2880×2560 pixels resolution. 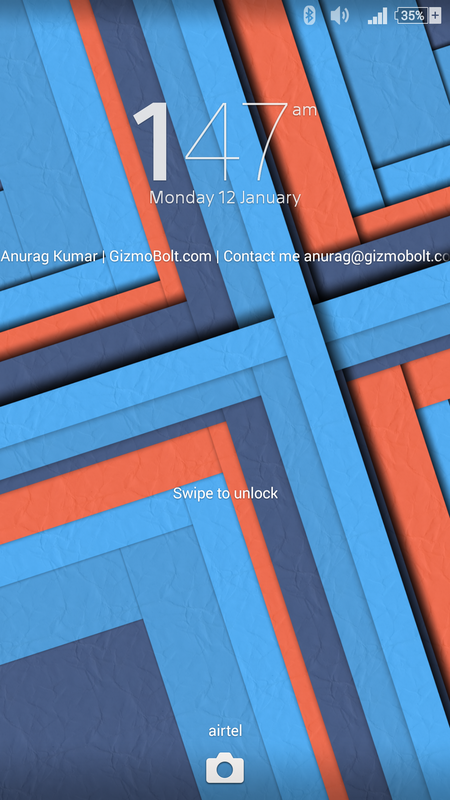 Download Motorola Droid Turbo stock wallpapers from below link ( 13 Wallpapers pack ). 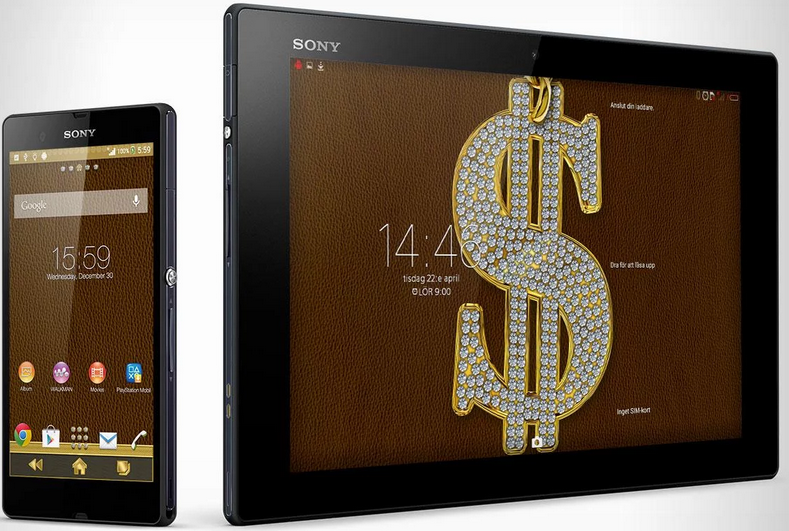 Wallpapers look great on Xperia handsets with 1080p screen. 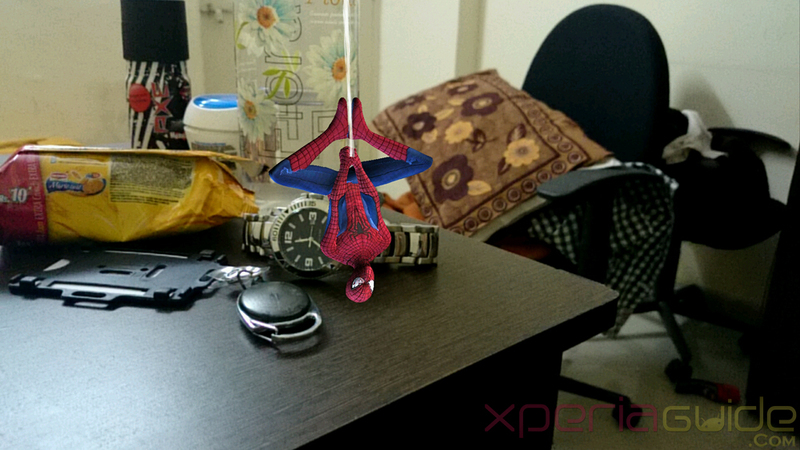 We tested them on our Xperia Z2. 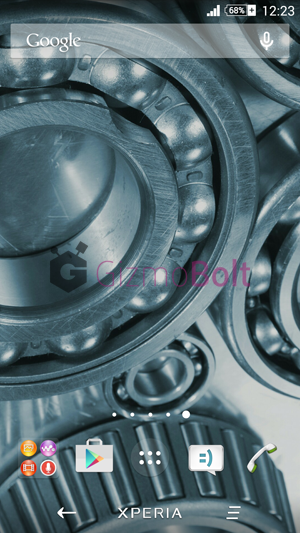 Like the Droid Turbo Wallpapers, let us know. Drop your comments below. 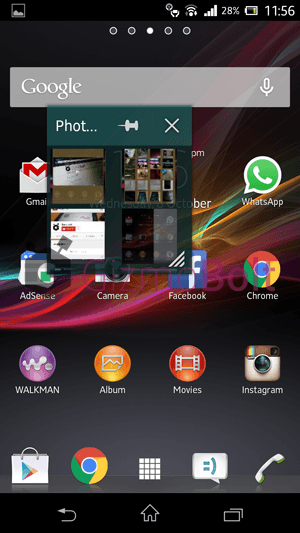 Media Viewer Small App for Xperia allows you to view photos, videos and YouTube videos in small app window on Xperia devices running android 4.1.2 Jelly Bean atleast. You can set the transparency setting for the app so it is not a hindrance to the main screen and you can use the media viewer small app along with your main task. 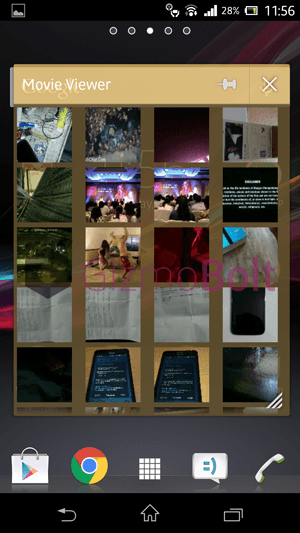 You can now use the Album, Movies app in photo and video viewer app, allowing you to view, delete and share the item. You can change the size of the small app window pane, check the next item in the list, pinch to zoom functionality on photo and video app. 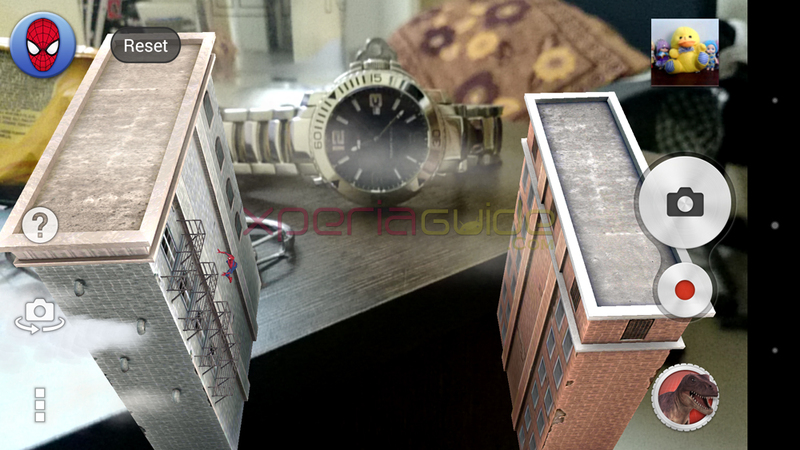 Download Media Viewer Small App for Xperia devices from below link. 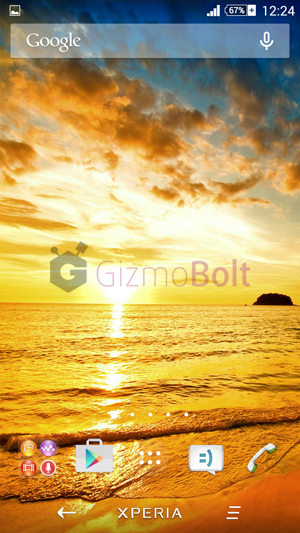 No root needed, working great on Xperia Z, ZL, ZR, Z1, Z Ultra, Z2, Z3, Z1 Compact, Z2 Compact, SP, S, T, V, SL, C etc. Like the app, let us know. Drop your comments below. 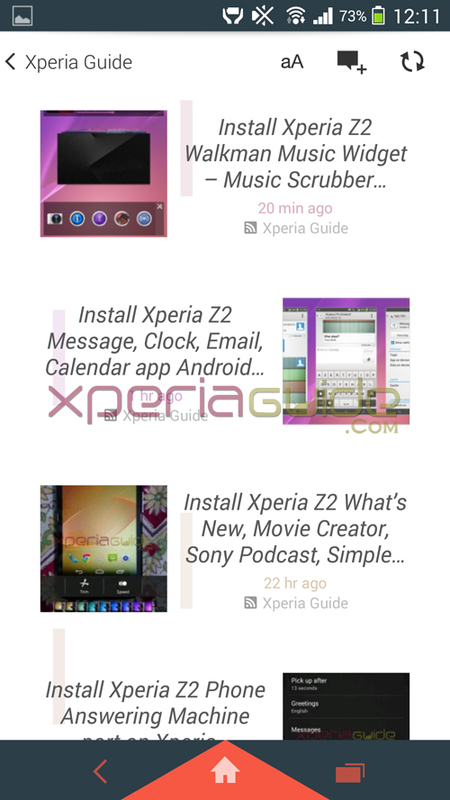 Sony has provided an option to download and install Xperia themes from Play Store based on Xperia theme engine on android 4.3 firmware update onwards and first Xperia themes were from app makers “The Green Personalisation” and “Knowit Mobile AB”. 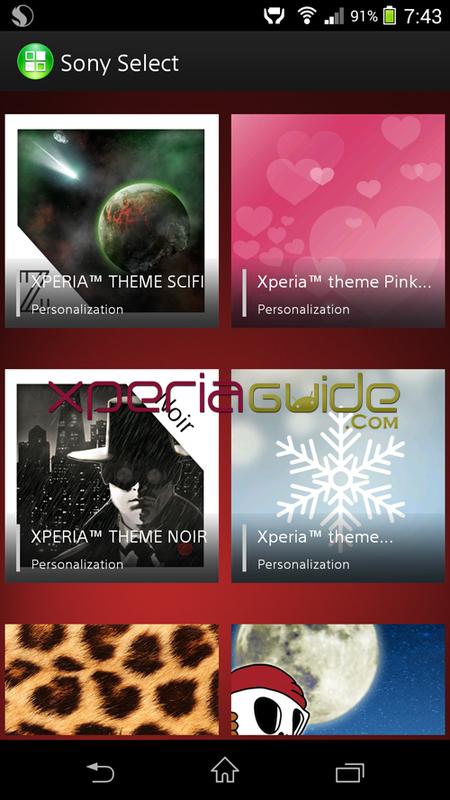 After a long time The Green Personalisation app maker has launched new Xperia themes today on Play Store viz. 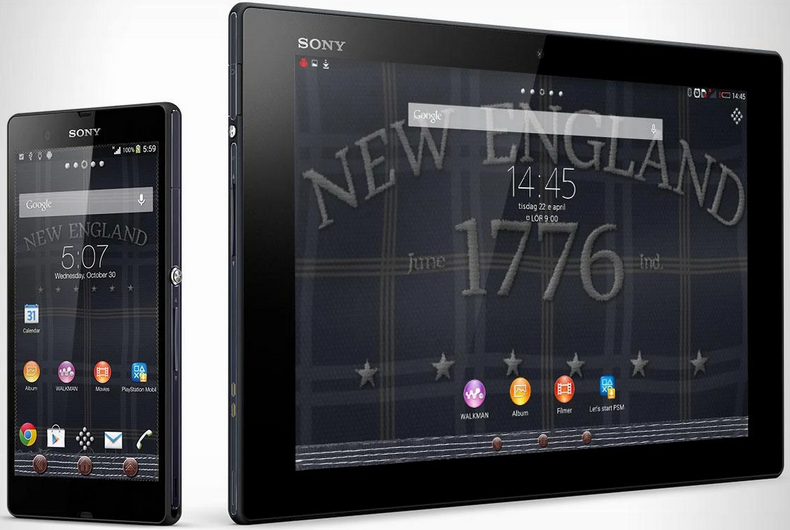 Xperia Themes Bestfriends, Sporty, Blinger, NewEngland, Headbanger; all are paid themes. 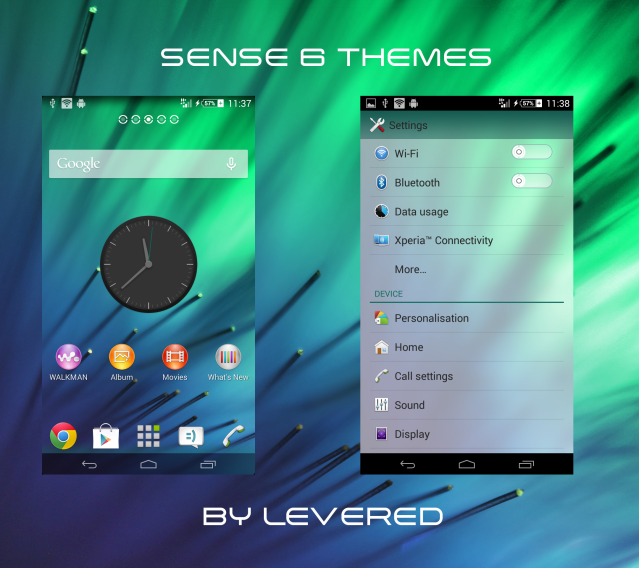 Above mentioned all themes are paid themes so you need to buy them before you install them. You need atleast android 4.3+ firmware on your Xperia device to install those themes, working on booth rooted as well as non rooted handsets. 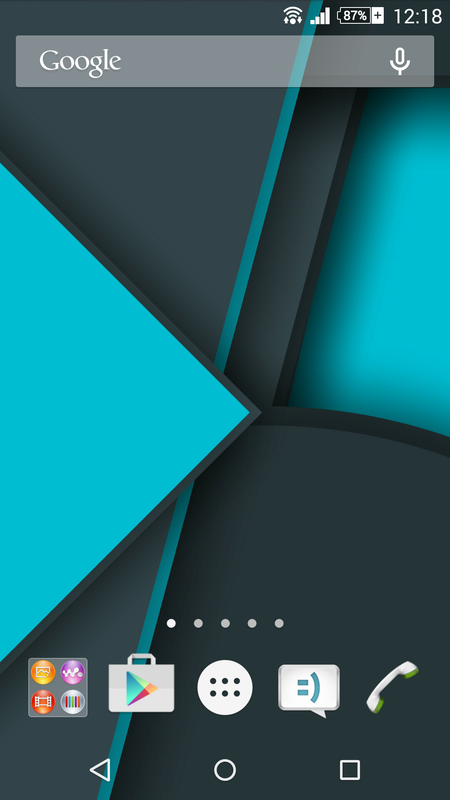 Check the below links to direct access the Play Store links to download themes. 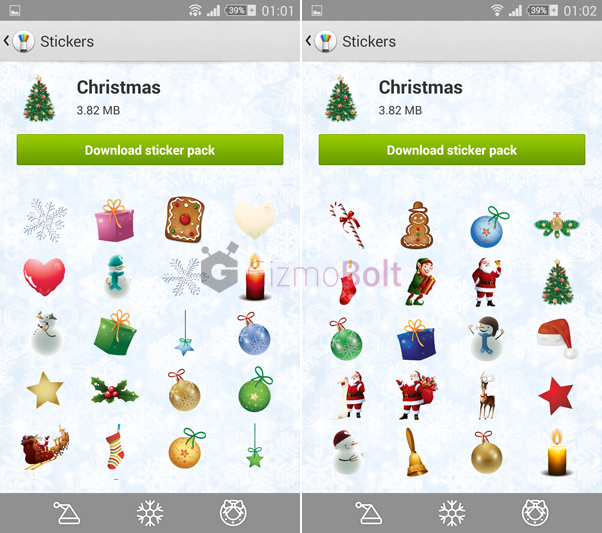 If you have already downloaded any of the above mentioned theme, let us know do you like it. Drop your comments below. Yet another app from Sony is now available at Play Store “Xperia Keyboard version 6.4.A.0.6”; till now we have seen so many apps from Sony on Play Store especially Camera apps ( which were exclusively seen on Xperia Z1 ). 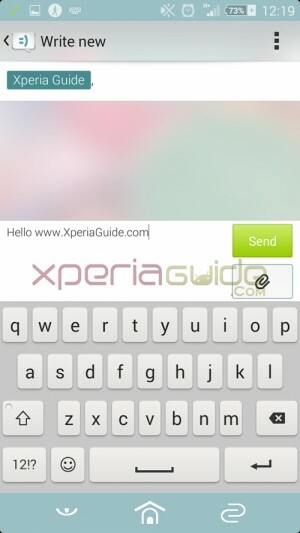 If you own an Xperia smartphone, Xperia Keyboard app comes as pre-installed as stock keyboard app. 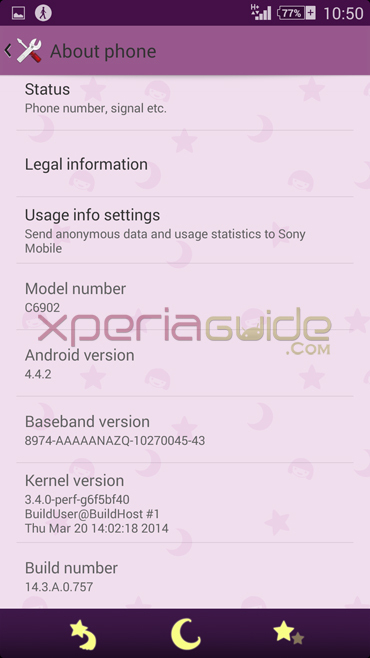 At present Xperia Keyboard app version is 6.3.A.0.18 on android 4.4.2 KitKat update from Sony. Xperia Keyboard 6.4.A.0.6 can be downloaded from Play Store now, currently working on android 4.4.2 running Xperia devices only. Xperia Keyboard is the default Xperia keyboard app for all languages except Chinese, Korean, Japanese. Xperia Keyboard 6.4.A.0.6 is working fine on Xperia Z1, Z Ultra, Z1 Compact. Sony says new “Back up and Sync” features has been added in the keyboard app using your Sony Entertainment Network account. Download Xperia Keyboard 6.4.A.0.6 app from Play Store, if you are not able to do so, follow the below link to download it manually. 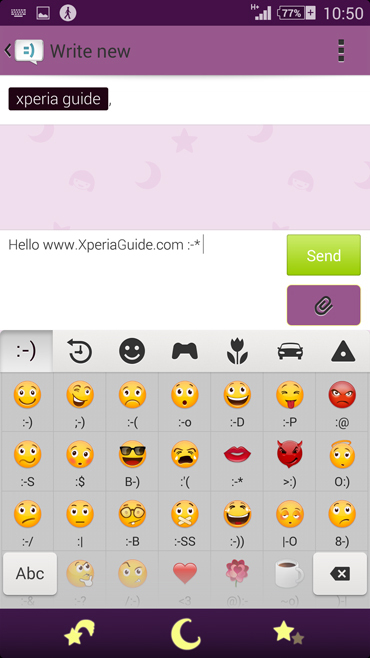 Below Xperia Keyboard 6.4.A.0.6 apk is extracted from our Xperia Z1. If you have downloaded Xperia Keyboard 6.4.A.0.6 app then let us know, any improvements found in terms of its smoothness. Let us know. Drop your comments below. 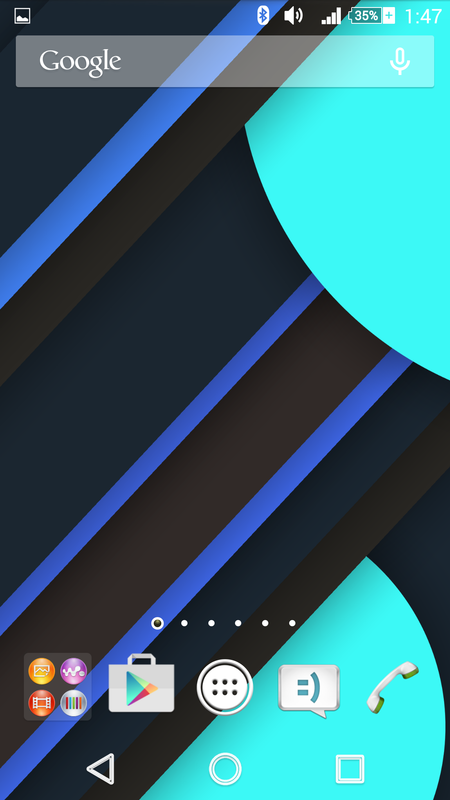 Sony has done a very good job by introducing new Xperia Theme engine on android 4.3 update as just after that we saw so many beautiful custom themes from developers as compared to themes available officially on Google Play Store. 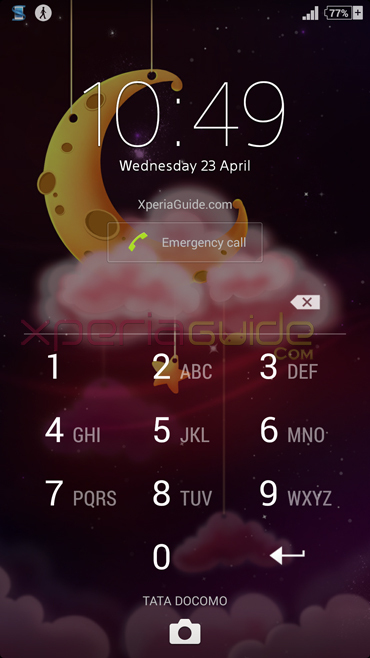 A few days back we saw Clean Fall Theme and Purple Flower Theme from XDA dev Levered and now he has brought one more fascinating theme for Xperia users. 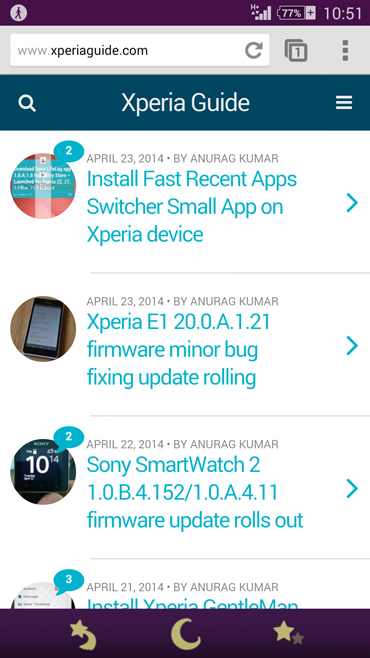 XDA dev Levered has made Xperia Sense 6 Custom Theme for Xperia devices, you need root to install this theme. Download the apk from below link and install it like another other normal apk. 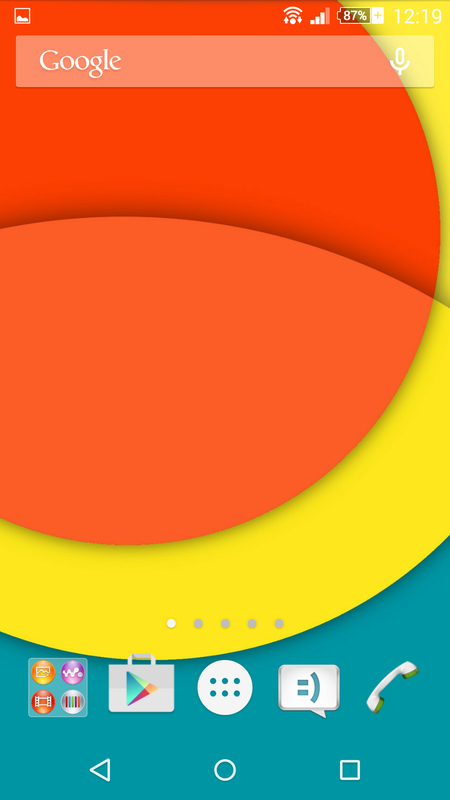 It has Greenish-Blue UI and color ascent. 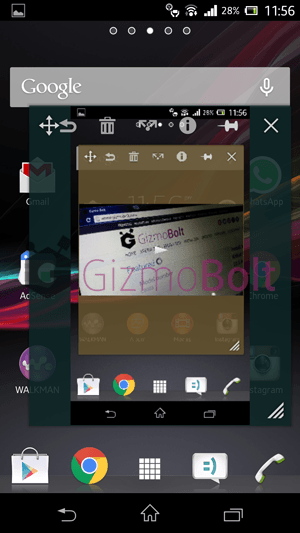 Below you can see the preview of Xperia Sense 6 Custom Theme. 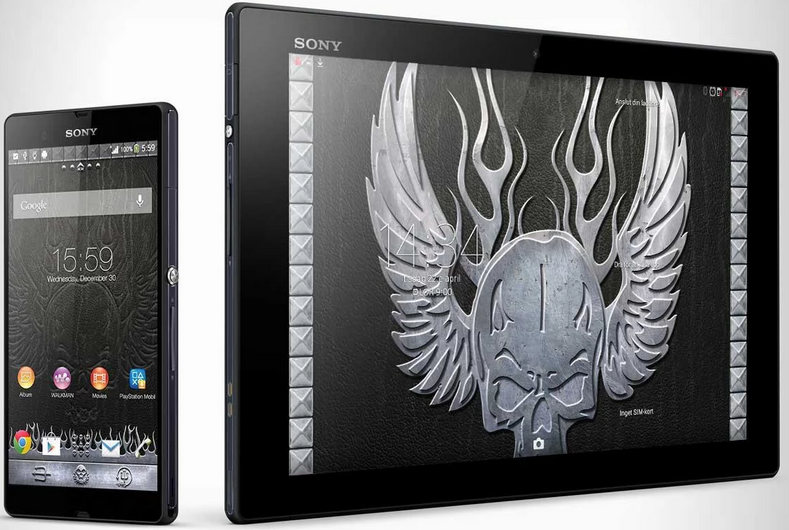 You can also try the below mentioned custom Xperia Themes on your device. Let us know if you liked this Xperia Sense 6 Custom Theme, drop your comments below. 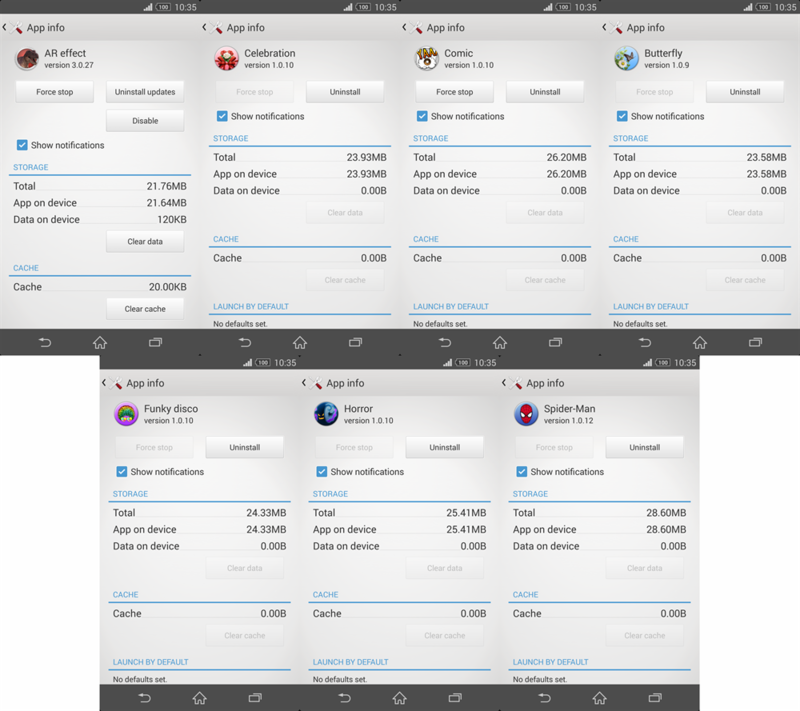 A few more Xperia Z2 Android 4.4.2 KitKat apps have been ported on other Xperia smartphones today by XDA dev DavidMKD viz. 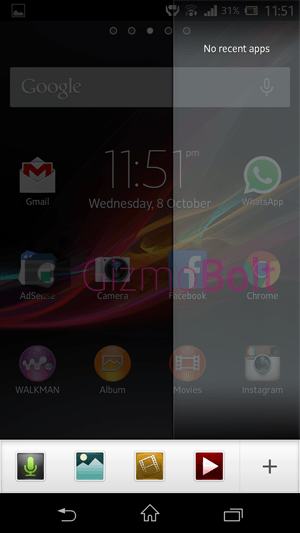 Xperia Z2 Keyboard and Sony Select app. 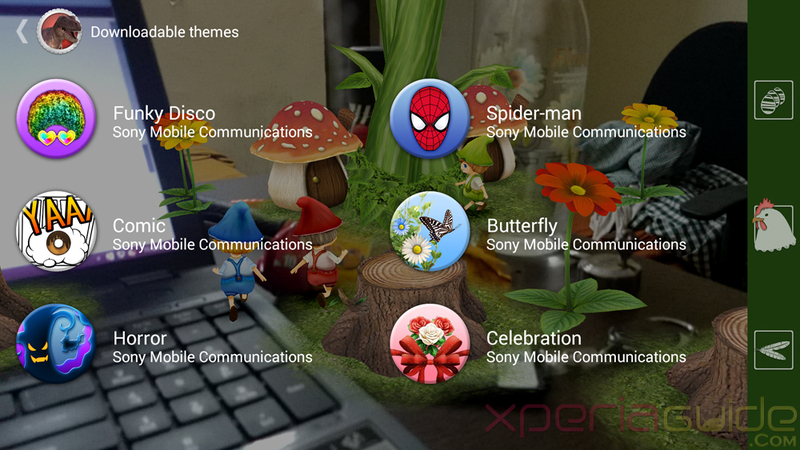 Now almost all Xperia Z2 apps have been ported to other Xperia smartphones which includes Xperia Z2 Smart call handling feature port, Xperia Z2 Camera apps Addons port – Creative Effects, AR Effect 2.0.4 , Background Defocus 1.1.7, TimeShift Video port and Xperia Z2 KitKat Media apps viz. Movies 6.1.A.0.4 and Walkman 8.1.A.0.4 app port, Xperia Z2 Phone Answering Machine port, Xperia Z2 What’s New, Movie Creator, Sony Podcast, Simple Home apps port, Xperia Z2 Walkman Music Widget port, Xperia Z2 KitKat Notes 1.0.4.A.1 and Sketch 1.0.A.4.2 App port, Xperia Z2 Media Sounds and Camera Click Sounds from KitKat port, Xperia Z2 4K video cam app and TimeShift Video app port, Install Xperia Z2 KitKat themes and task killer app port, Xperia Z2 SystemUI Port – 2 tabs quick settings, notifications option enabled, Xperia Z2 black themed Calendar KitKat app port and Xperia Z2 Phone and Phonebook app KitKat port. 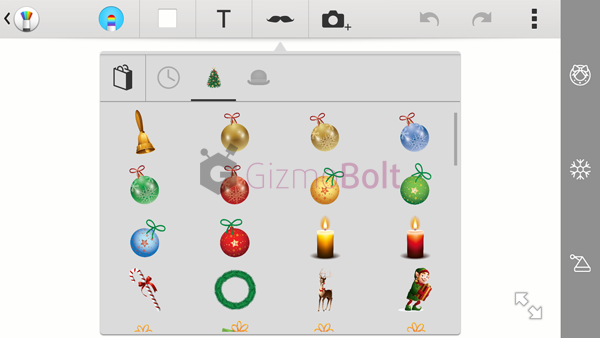 Below you fill find new Xperia Z2 Keyboard 6.3.A.0.18 version, Sony Select 3.0.24 version while present version for these apps available on Android 4.3 Xperia Z1 are Keyboard 6.2.A.0.30, Sony Select 3.0.22. Let’s see how to install them. Install Xperia Z2 Keyboard 6.3.A.0.18, Sony Select 3.0.24 apps, working on Android 4.1.2+ versions, rooted handset with CWM recovery installed. Do backup the below mentioned files before replacing them. 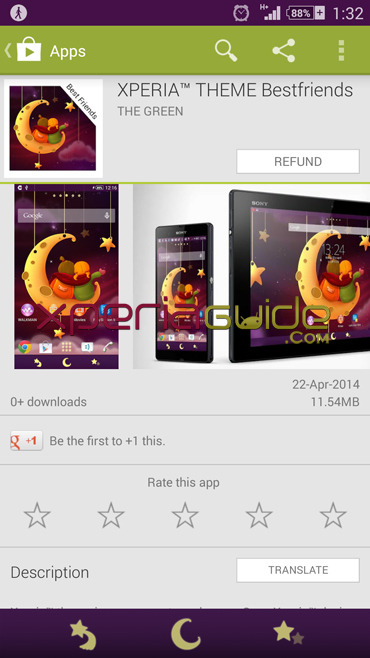 Download below file and push it in system/app with correct permissions rw- r– r– and reboot. 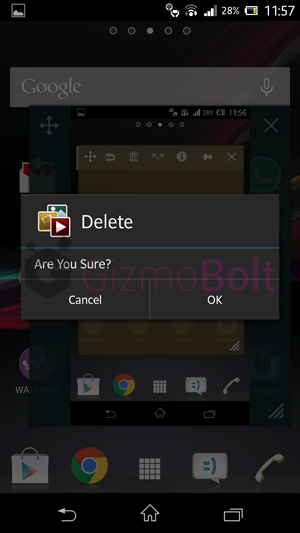 Download below zip file and flash it in recovery. 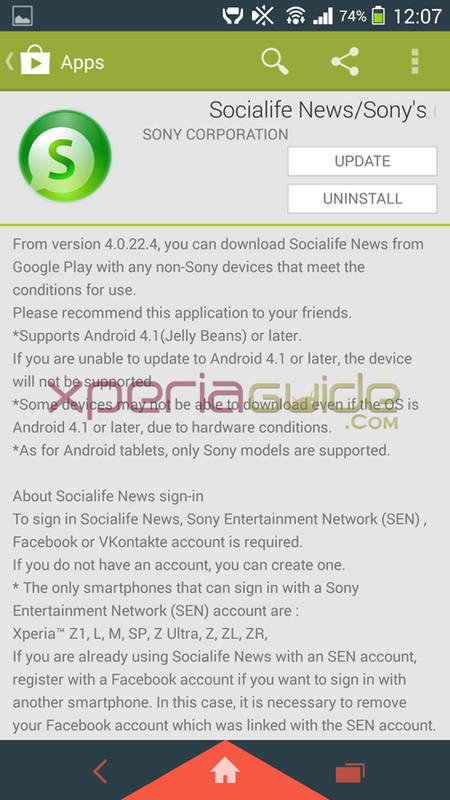 Sony’s Socialife News app 4.0.26 version rolled today which fixed the app crashing bug on Xperia SP and other Xperia smartphones and now it is available for download on all Android devices running Android 4.1 Jelly Bean or later version as per changelog of Socialife News app 4.0.22.4 version. 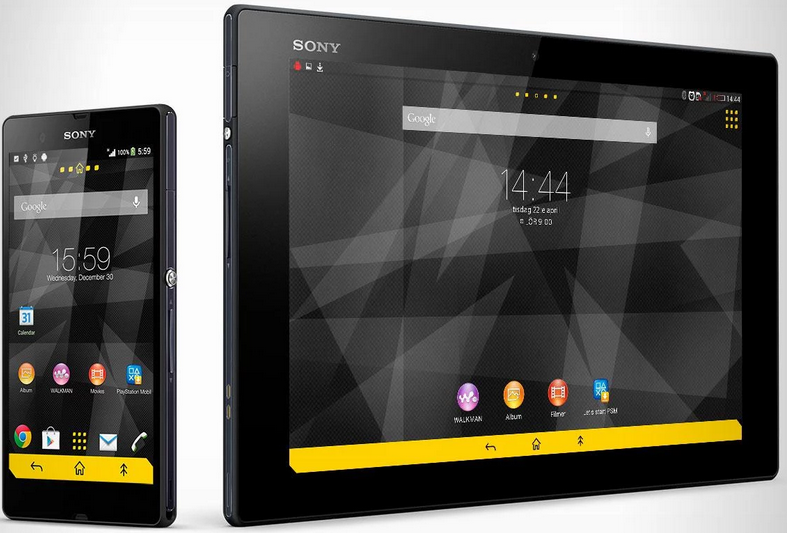 All Sony android tablets are compatible with this Socialife News app. 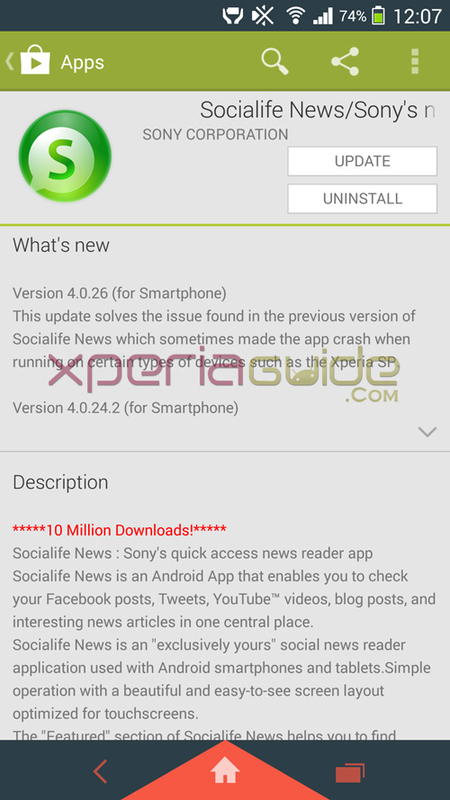 Socialife News app has been downloaded more than 10 Million times, is a social media app from Sony which allows you to track the latest updates from more than 2000 feeds from 250 news organisation. 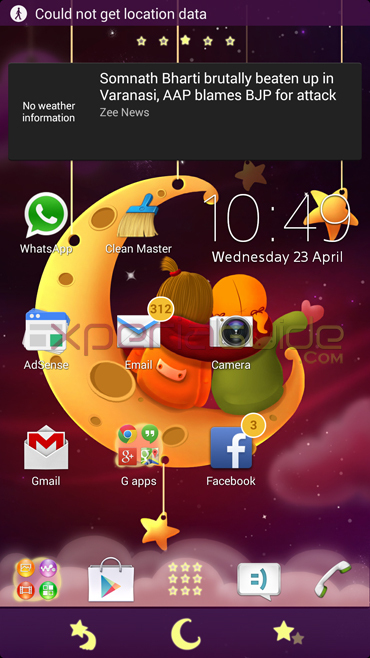 It comes with its own associated widgets that can be put on homescreen for quick view and navigation. Socialife News app 4.0.26 version is available for download from March 3, 2014 11 PM PST, March 4, 2014 8 AM CET and March 4,2014 4 PM JST. 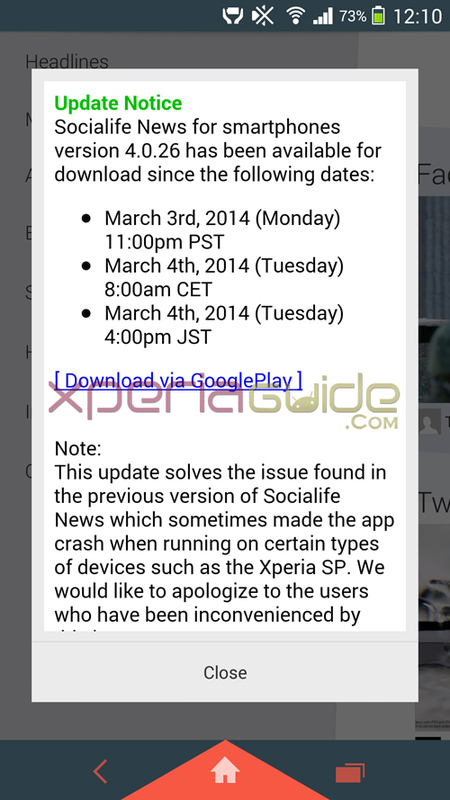 Sony’s official statement on availability of Socialife News app for all android smartphones. Subscribe to our feeds via Socialife News app. 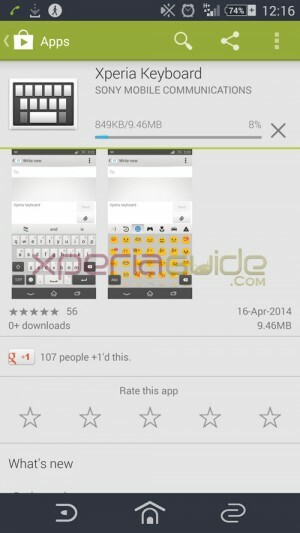 Download Socialife News app 4.0.26 version from Google Play Store. 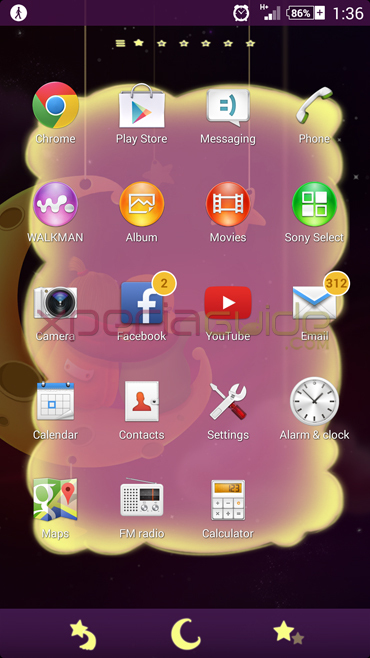 It’s a good news for other Xperia Smartphones that now Socialife News app can be used on all android devices running android 4.1 jelly bean means now Xperia J, Xperia S, SL, Acro S, Ion, P users can officially access it. Let us know of you still face any bugs in Socialife News app 4.0.26 version. Drop your comments below.